Author Yvonne Kuschel is an illustrator, book designer, and award-winning artist. 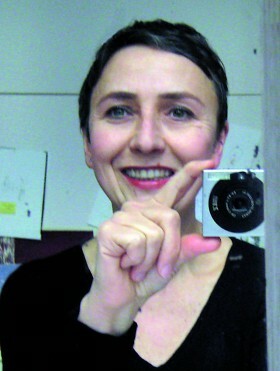 She was a professor at the Academy of Visual Arts Leipzig from 2005-2010, and currently teaches at the Academy of Sciences and Humanities in Hamburg, where she lives with her family. Yvonne Kuschel published 3 books; the first was recognized as one of “the most beautiful books 2012” by Stiftung Buchkunst (Foundation Book Art).